The aim? To allow the teams to better communicate, through instant and secure access to the latest information created from racetracks. "Initially they were a business customer of ours and all the technology integration led to a multi-year comprehensive sponsorship agreement," said Richard Tanner, director of technical solutions consultants across Australia and New Zealand (A/NZ) at AT&T, when speaking to ARN on the sidelines of the Australian Grand Prix in Melbourne. Aston Martin Red Bull Racing employs approximately 800 people, with most headquartered in Milton Keynes, UK. However roughly 60 people are constantly on the road for the 21 races of the season. "Thinking about the logistics of the business and the need for connecting that team, you can see really easily how it becomes essential to have a network partner that has a reach globally and is able to support that," Zoe Chilton, head of technical partnerships for Aston Martin Red Bull Racing told ARN. The team that travels can include senior management personnel and key engineering staff. Taking these people away from the business is a big challenge according to Chilton, creating a requirement to partner with a provider that can draw on a global market presence. Having a network connection in each location before the team arrives, means the IT team can arrive and start setting up immediately, Chilton added. AT&T provides a range of solutions to keep that connectivity reliable and secure, including security services, mobile management services and collaboration and conferencing. 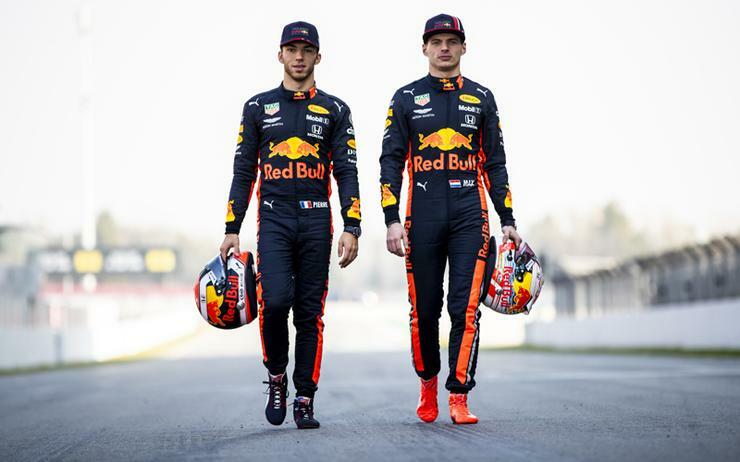 Like most businesses, Aston Martin Red Bull Racing understands the importance of data, which is why a reliable connection is also so important. This is especially the case when it comes to racing weekends when up to 400 GB of data is transferred from the race tracks to headquarters every race weekend - some of that data originates from the cars' "many" sensors. "We have a major manufacturing operation, design and development in the UK," Chilton added. "Digital technology and understanding the data we are capturing underpins that whole process because it gives us more visibility of every stage." Perhaps unsurprisingly, bandwidth and low latency are paramount. Meanwhile, delays must be minimal to none, because if communication is lost during the race it could spell disaster for the drivers out doing battle. "We have global coverage with our network," Tanner said. "We are present in 195 countries around the world, essentially we have infrastructure already there and that is important especially when changes occur." Changes such as the engine provider Aston Martin Red Bull Racing experienced this year, the previous provider, Renault, had its headquarters in France while the current one, Honda, is based in Japan. Chilton said the deal with Honda meant a "massive" integration project with Red Bull's engineering team. Following a partnership with Renault for 14 years, this was the first time the business had a new engine provider, which had to integrate with all the car's systems. AT&T helped by making sure there was a direct connection for all involved teams to communicate and be able to build two new functioning racing cars. The relationship Red Bull Racing has with its technology providers – which total 15 innovation and technical partners including Citrix, HP, IBM and Siemens – goes beyond a mere sponsorship, nearing a technology exchange. "We learn from each other, we hope to push the boundaries of how we use the product," Chilton explained. "Because we are always looking for what could give us the next possible competitive advantage it really gives us a great position if we are working with some of these big names in technology to look at the next available thing. "What's coming next? Can we help develop it? Can we help get involved at the ground level and make sure we are across it and we are working across that next generation technology?" According to Chilton, due to the broad portfolio of services and expertise on offer through AT&T, the business is well positioned to have a range of technology requirements covered. "We know if we have a challenge with something security related, network related, to be honest almost any area of IT now we can go to AT&T and say, 'do you have some consultancy in this? Is there anything you can do to help us here?'" Chilton explained. "Because even if they don’t do it they can recommend somebody who does and they have consultancy skills to help." Chilton also explained that such partnerships allow the business to often test new products and try new things, especially with software, that the specific product was not actually made for. Because they will often be the first one to experiment with new products, and they will test it to its limit, which in turn helps vendors and providers get a better product to their usual consumers, be that within the enterprise or end-users.